For this ﻿project, students will be developing a set of architectural drawings for a historically significant house. Students will research and analyze the work of the house’s architect as well as the design characteristics of the house itself, focusing on architectural space. With this understanding, they will create a set of design drawings that permit detailed exploration of an architectural work, historical events and people intertwined with the work, and technical skills in architectural representation. For students exploring architecture, this project will provide an overview of many different aspects of the profession. We will have the opportunity to explore history, design theory and technique, as well as the various technologies and materials that make architecture possible. To build on the work completed in Project 01, students were given a design brief for a client seeking a design for a weekend cabin on property in Central Texas. The brief states that the cabin design should reflect the architect the student has studied in Project 01, but does so in a unique way. 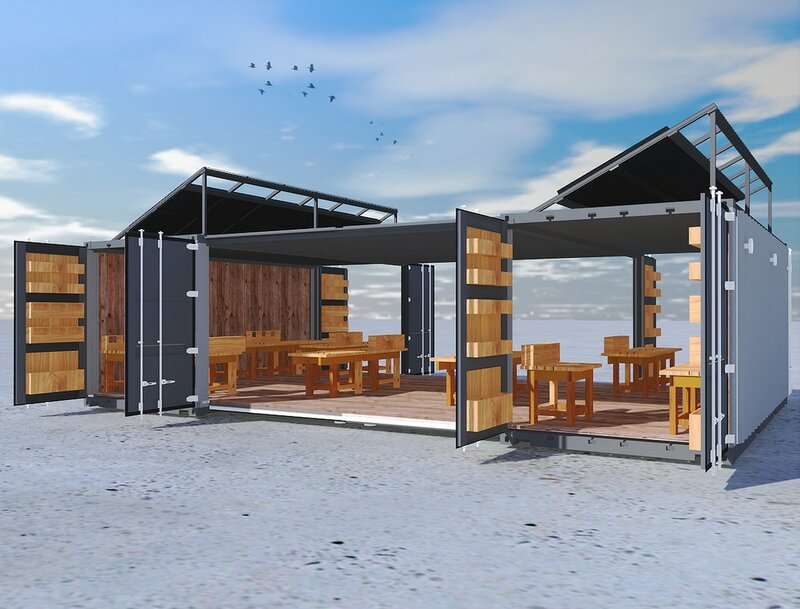 Through this quick project, students will face the challenge to take the design ideas of one architect and translate them into a new project type -- the industrial shipping container. 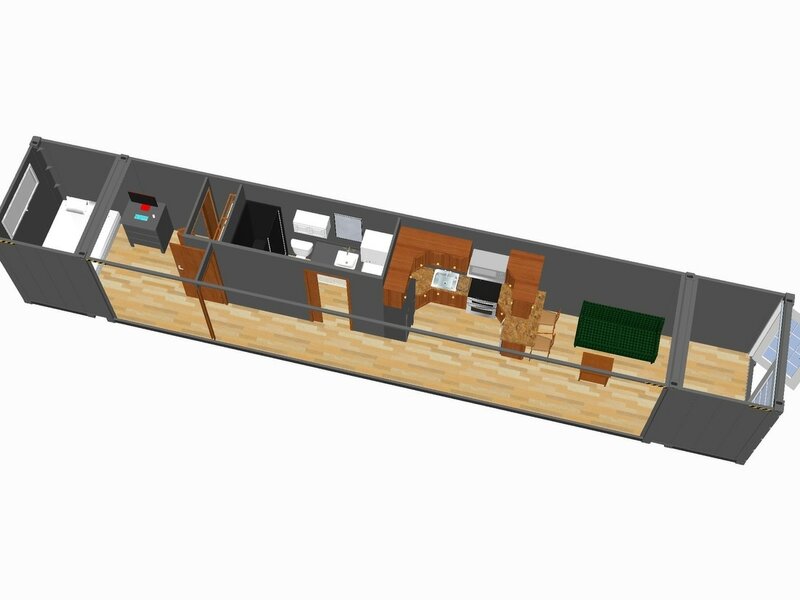 The project brief requires that the cabin be designed in a single commercial shipping container with the following dimensions: 40’L x 8’W x 9’6”H. The completed cabin will be pre-fabricated and driven to the site via semi-truck. Once on site, it would be set into the position by crane in the location designated by the student on the site plan. Students were required to include a deck or patio space to provide opportunities for comfortable outdoor living that is integrated into the overall design. Consideration should be given to how the design of both the house and the outdoor elements will impact the site. The completed design should take advantage of the sun, breezes and other typical climate characteristics as well as take available views into consideration. The design of the cabin should reflect the architect from project 01. Students may use shapes, materials, specific forms and/or spaces to do this. 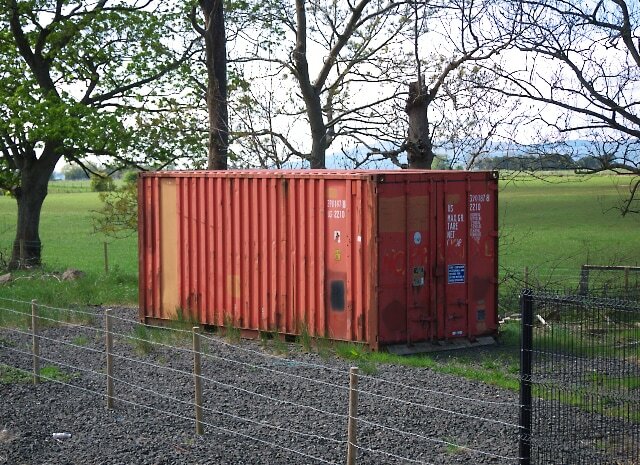 The client has requested that the existing container doors remain in place and functional to secure the cabin when away. Holes may be cut into the container skin for windows, doors, and other openings. Modifications may be made to the container, but the client has requested that no additional interior square footage be added to the container to maintain the project budget. During design, students reviewed and evaluated Le Corbusier's Petit Cabanon project, other shipping container home designs, and campers/recreational vehicles in order to direct and develop their own designs. To complete the semester, students will design a single family home for one of Dallas’ premiere urban neighborhoods. The project brief states that a client has indicated a desire for their house to fit in with the existing neighborhood but want the house to be a unique reflection their life and interests. The student will be provided with only one piece of information to use for the design of the house – one word. This word will be used to create a new and innovative urban home for the 21st century for a unique client. Students will explore how language can be used to drive the design process and create useful, meaningful SPACE. The client for this project will be an individual or couple of each student's own creation. This is an opportunity for students to customize their project and inject their own thoughts and interests. Clients will be developed in a short exercise at the beginning of the project. Each student for this project will be assigned a word by random draw. The client has brought this word to the student as inspiration because it is a word that identifies who they are. The project will begin with a research effort to identify and understand these words on a deeper, technical, and meaningful level. Students will then use this word to develop a story that describes the client in detail. Words used in this project will consist of architecture or design terms that can influence the creation of SPACE and factor in ALL of decisions for the project. An outdoor garden in either a horizontal or vertical form. An outdoor living space. This can take the form of a patio, deck, courtyard, sleeping porch, or any other space that promotes outdoor use and activity. In addition to the requirements for a standard two bedroom home, students will design one additional space that meets a hobby, activity, or personal interest of their client. This portion of the home's space program will be developed as students create the story for their client at the beginning of the project. Based on the characteristics of Urban Reserve as a modern and environmentally sensitive urban neighborhood, students are encouraged to design houses that are small, simple, and modest. Homes should reflect these qualities as well as the characteristics of the larger natural landscape in which they are located.